The Bonnaroo Music and Arts Festival is an annual four-day music festival held at Great Stage Park on a 700-acre (2.8 km²) farm in Manchester, Tennessee. 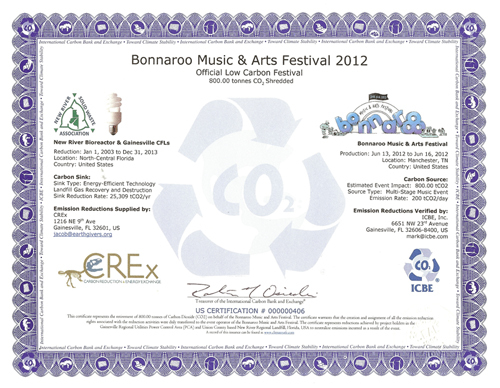 Since its inception, Bonnaroo has invested time and resources to become the leader in managing a sustainable festival. From day one, festival organizers strived to make the most sustainable choices while maintaining the ultimate experience for fans, setting the standard in greening practices for North American festivals.